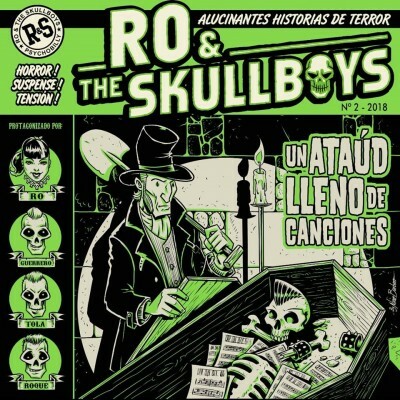 RO & THE SKULLBOYS - UN ATAÚD LLENO DE CANCIONES [LIMITED] 10"
> Punk Rock / Psychobilly / Horror Punk / Rock and Roll >RO & THE SKULLBOYS - UN ATAÚD LLENO DE CANCIONES [LIMITED] 10"
Brand new (handnumbered and limited to 250 copies only) high quality 10" from the one and only psychobilly female fronted band in Spain. Old school psychobilly with tons of Rock and Roll, Rockabilly and Pop. Fantastic artwork by Nano Barbero. 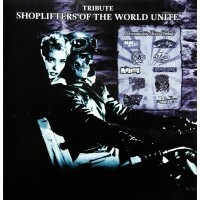 Do not miss their rockin´Bauhaus cover, simply amazing. TRACKS B: 01. Bela Lugosi, 02. 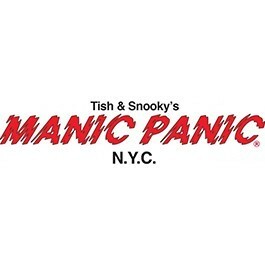 Are you crazy?.